The GC has been developing its Cloud Adoption Strategy over the past four years. The goal was to take advantage of this scalable, economical tool that can help deliver custom-built public services and increase access to important information. This is a logical step as the nation is becoming more deeply entrenched in tech. This speaks to younger generations who can now connect easily with crucial resources. The government is reaching more people more effectively while maintaining Public Service values. Government IT systems can be exorbitant and exhaustive. Often they rely on outdated legacy systems to work through day-to-day processes. These big, old-fashioned and frustrating infrastructures create more problems than they solve. The Cloud can effectively cut costs, streamline operations and even reduce energy expenditure. Using the Cloud can free up office space and alleviate the routine hindrances associated with legacy technology. A boost in efficiency and morale is a benefit for any organization! 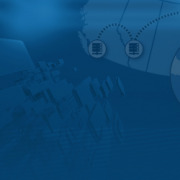 Cloud-based solutions are known for providing improved security. They also adhere to the government’s commitment to data sovereignty, security, privacy and availability. The huge demands and tight budgets that often plague agencies can be eased by this technology. Careful preparation is required for the adoption of Cloud solutions. IT transformation does not take place overnight. It can be a process that involves a learning curve. Anticipate setbacks, but remember to keep your team focused on the task presented. Once this integration has been achieved and everyone has been trained, routine processes will be much easier. Considering the intricacy of many government operations, a “one-size-fits-all” solution simply cannot work. High-value services like Server Cloud Canada offer the perfect fit – tailored solutions that meet the distinctive needs of such structures. Having a high-value Cloud in place can enhance the dexterity and responsiveness of agencies so they can continually serve people. Sudden changes in the governmental environment can be effortlessly facilitated with the flexibility of Cloud infrastructure. All of this can be achieved without ever compromising security. Whether at the Federal or Provincial level, government agencies are covered by numerous privacy laws. These laws set the standards for how citizen data must be handled. Remaining compliant requires the use of a 100% Canadian Cloud infrastructure provider like Server Cloud Canada. Data must be stored on Canadian soil by a Canadian-owned organization to ensure that local laws are always applied. Using a compliant provider builds a strong reputational foundation for organizations in a climate that is currently precarious. It is best to understand the security capacities of Cloud computing and employ them preventatively, rather than waiting until after a problem occurs. One of the most crucial elements of preventative protection is encryption. Encryption is the process of encoding data so unauthorized parties cannot read it. Secure Cloud platforms such as Server Cloud Canada apply this approach to agencies that exchange private information back and forth with constituents. This prevents interceptors from stealing important details by jumbling information into layers of indecipherable code. Personal data such as addresses, phone numbers and SIN numbers remain encrypted while being transported, searched and processed in the Cloud. The Government of Canada maintains ‘security control profiles’ that are now tailored to the Cloud environment. These help to distinguish that both the consumer and the provider are accountable for upholding security. This relinquishes the sole responsibility from the GC and awards the provider a significant level of trust. This is why it is so important to work with an honorable, professional and compliant provider. The Cloud presents an exciting leap forward for agencies that are currently bogged down by legacy systems. It also expels high costs, security risks and space constraints for a freer, safer and more intuitive workplace. Government departments across Canada are obtaining these high-value Cloud benefits. What is most exciting about these agency transformations is how quickly, effectively and safely Canadian citizens are accessing services. The future reputation of GC programs is one that promises to be user-friendly, responsive and innovative. 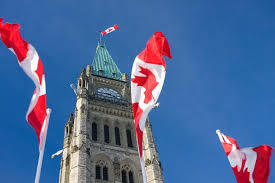 Learn more about how government organizations across Canada are leveraging Server Cloud Canada's secure and reliable cloud infrastructure.